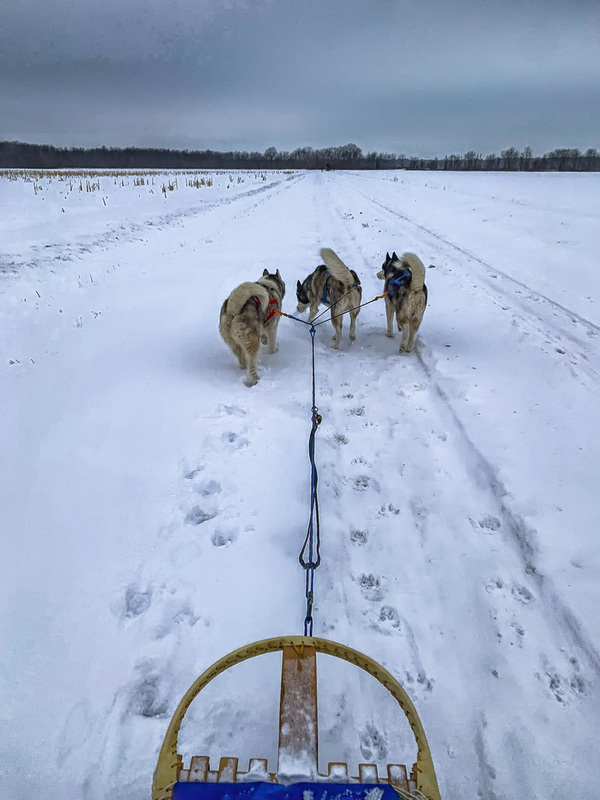 I'm out mushing along a country road with 3 of my Siberian Huskies. Enjoying the day of cold and snow. Siberian Huskies love running mostly in the winter. They actually get depressed if they can't run. This was taken with my cell phone. It's a little difficult to photograph and dog sled at the same time, I love trying.